Similar to its successful attempt to bring 900 classic arcade games to browsers, The Internet Archives has successfully uploaded 2,400 classic DOS games onto its servers. Each of them is available to play at the mere click of a button thanks to a browser version of the DOS Box emulator. Even though I consider myself a console gamer, I have my dark, hidden roots deeply entangled in DOS gaming. When I was a child, I was only able to play on an NES when visiting my grandmother's house. My parents knew I would be addicted if I had my own, and boy oh boy were they right. To make up for these lost hours of potential gaming, I only really had the family IBM to turn to for help. I was wise enough to know that DOS games were not quite on the same level of what the NES was capable of at the time, but none the less, many hours of my wasted youth were spent on games like Night Shift, Fire Hawk: Thexder, Stellar 7, Wing Commander, Prince of Persia, Teenage Mutant Ninja Turtles: The Manhattan Missions, and of course, the Sierra and LucasArts point-and-click adventures. Now, I can go back and relive this untapped nostalgic era of my gaming history thanks to The Internet Archives. Looking through the list alphabetically, I already see so many great memories like The Castle of Dr. Brain, The Black Cauldron, Caveman Ugh-lympics, Jill of the Jungle, Rise of the Dragon, and even those disastrous Mega Man and Mega Man 3 DOS games! Games more closely related to my modern interest, which I didn't know at the time, like Ys and Sorcerian from Nihon Falcom pop up here and there. It even has Jim Henson's Muppet Adventure No. 1, which could very well be the worst game I've ever owned and played. 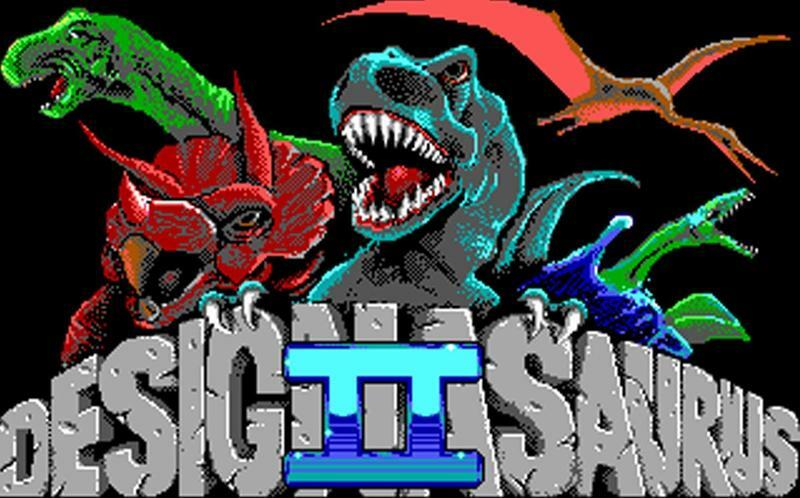 On the flip side, I found a childhood favorite called Designasaurus II, one I've been struggling to remember the title of for the longest time! It's a good thing I'm just about to wrap up Suikoden II, because I think I found a way to waste the last two days of my winter vacation.